INLAND JET Sea Doo wear ring OEM Style Replacement. Made above factory spec. Our Sea-Doo wear ring comes in a smooth Delron material which reduces friction and in turn makes smoother water flow. 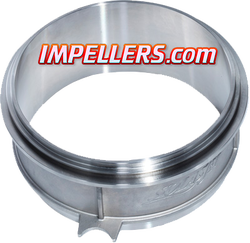 A stronger IJS Sea Doo wear ring then plastic is another benefit for your jet pump. The Solas wear ring is solid stainless steel. It will give you the Ultimate in performance wear rings. With tighter clearances it give max pump pressure for better thrust. A performance wear ring built to last. Replaces SeaDoo wear-ring. The Yamaha wear ring comes in a housing assembly. The Yamaha wearring is stainless 1 piece for ultimate performance. The Solas Wave Runner Wear ring is for Yamaha. 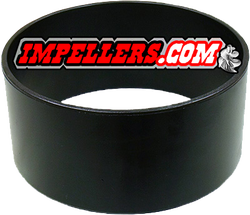 Our Inland Jet Ski Wear Ring are TOP OF THE Line! Dont settle for cheap plastic ones that break the first time out and can damage your impeller. ​These are strongest on the market and Our black Jet Ski wear rings are Guarantee not to crack! Buy from the experts! and you wont have those issue's..
​Replaces OEM # 267-000-105 & 267-000-372 & 267-000-338 OR 159MM PUMP. ​Scarab Up to 2015 195 Impulse 195 with 250hp, Scarab 195 HO 250HP, 195 HO Platinum 250hp, BRP 4-TEC 250hp. ​Replaces OEM # 267000105 & 267000372, 267000338 with 159MM PUMP. Inland Jet Ring is Strongest Ring available. BRP Sea Doo RXT RXP-X 300 RXT-X 300 GTX Limited 300. RXT-X Wear Rings/RXP-X GTR230 GTR-X 230 Wake 155 300 Rs 300 Boat 180 challenger 215 2012 180 challenger SE 215 2012 180SP 260 2012 210 Challenger 2012 210 Challenger S 260 12 scarab wearring replaces 267000638 267-000-638 267000917. 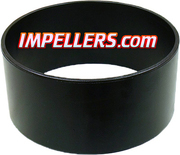 ​IJS Pro Sea Doo wear ring 155.5mm pump. GTX 4-TEC LIMITED SC 185HP 03-04, GTX 4-TEC SC 185 HP 03-06, GTS SE 155HP, RXP 155HP, GTX 4-TEC 155HP, GTX WAKE 155HP, GTI 130, GTI SE 130, GTI SE 155 06-07​ Replaces 267000104, 267000419, 271001236 or 267000021. 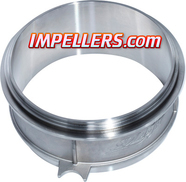 IJS Pro Sea Doo Spark wear ring for Spark 900 14-18 more durable then the oem wear rings. ​PRO SS Sea Doo Wear Ring RXT-X300/RXP-X300/GTX ltd 300 and is stainless steel and replaces the original plastic wear ring. BRP Sea Doo RXT RXP-X 300 RXT-X 300 GTX Limited 300. RXT-X Wear Rings/RXP-X GTR230 GTR-X 230 wearring replaces 267000638 267-000-638. 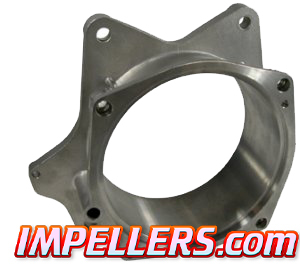 IJS PRO Yamaha pump housing Fits Yamaha FX SVHO 2014 Up, FX Cruiser SVHO 2014-Up, FZR 2014-Up, FZS 2014-up. Directly replaces oem part 6ET-51312-00-00 & RY33-160-YV. Its 100% stainless steel. Fits VXR 1.8L, VXS 1.8L, VX Sport, VX Crusier, VX Deluxe, FX Sho 1.8L, FX Cruiser HO 1.8L, FX Cruiser SHO 1.8L, FX HO 1.8L, FX High Output MR1 04-up, FX Cruiser HO MR1 04-up, FX-140 03-up, FX Cruiser MR1 03-Up, GP1300R, XLT 1200, GP1200R, SUV1200, XL1200, GP800R, XL800 00-04, and replaces OEM 66V-51312-01-94 & RY33-155-YF. Made of 100% stainless steel.